Flooded villages- a tour of the villages on the edge of the Mediano and El Grado reservoirs. 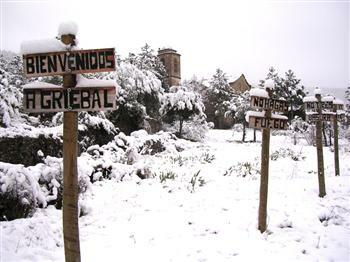 The Cinca valley stretches from as far up as Bielsa all the way down to Abizanda running the entire length, north to south, of the Sobrarbe region. 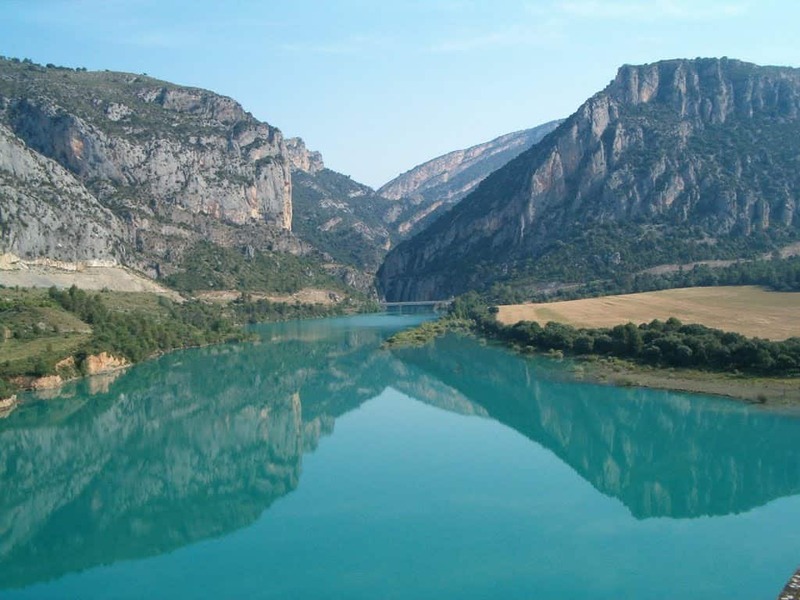 The valley has been divided into two sections: The High Cinca valley and the Low Cinca Valley, by the building of the Mediano and El Grado reservoirs into which the Cinca runs. The village of Griebal was expropriated to build the Mediano reservoir and left completely abandoned. 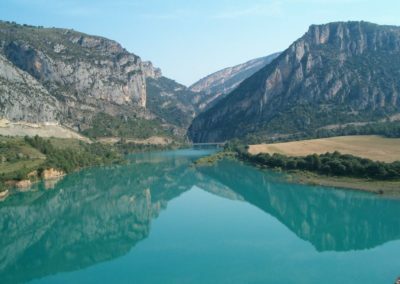 In 1990, the Confederación Hidrográfica del Ebro (local water board) conceded the use of the village to the Aragonese scout association. Since then the village has been progressively restored by the Scouts and Griebal is now a Scout Centre where national and international Scout camps are held. The village of Gerbe, whose agricultural lands were flooded by the Mediano Resevoir, was never completely abandoned as one of its houses always remained inhabited. Nowadays there are 18 inhabited houses. 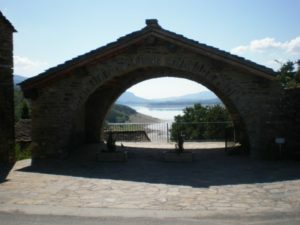 The “Aventadero” (threshing house) which has breathtaking views over the lake, is well worth a visit. 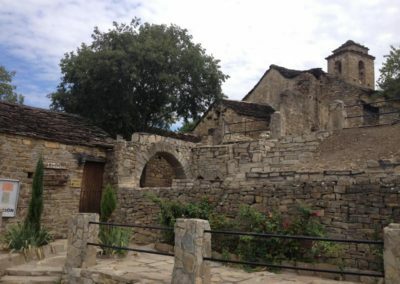 Due to the expansion of the Mediano Reservoir in 1960, Morillo de Tou and its lands were expropriated and became the property of the Confederación Hidrográfica del Ebro, forcing the few villagers who remained to abandon their houses. Little by little over time and due to bad weather, looting and lack of maintenance, Morillo’s houses fell into ruin. Nearly 20 years after the last inhabitant had left, the CC.OO. 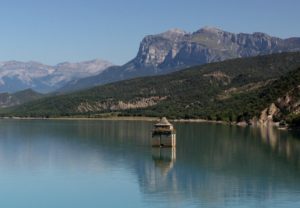 Aragón trade union applied for and were granted the concession of the village by the Confederación Hidrográfica del Ebro, to restore and convert it into the Holiday centre it is today. The saddest and most striking feature of the villages affected by the reservoirs is Mediano, which gives its name to lake that covered it. Even when the reservoir is at its highest, the top of the church tower can still be seen rising out of the water. In fact the church is all that remains of the old village of Mediano, and when the water level drops you can take a dramatic walk out to it. Another great option is to paddle out to it in a canoe when the water is near its highest. The new village of Mediano was built along the main road (A-138). 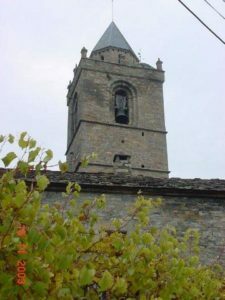 A new tower has been built to house the original church bell and to commemorate the Sobrarbe villages which were affected by the reservoirs. 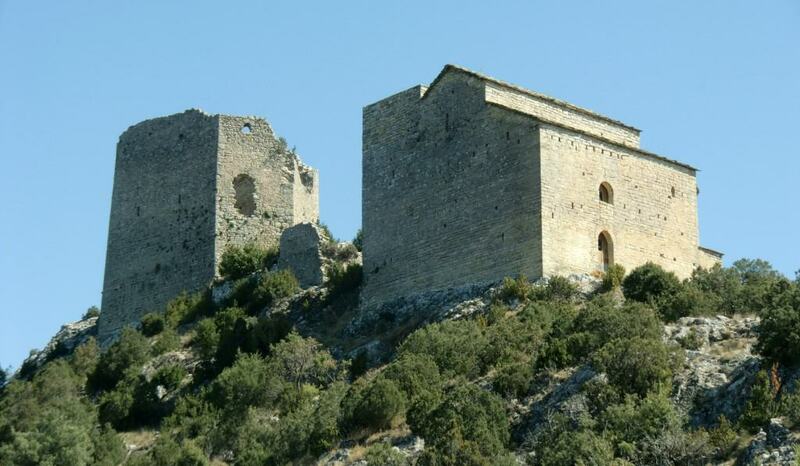 One of Sobrarbe’s “not-to-miss” excursions. A pretty village featuring an ancient four headed carved stone water fountain at its entrance. 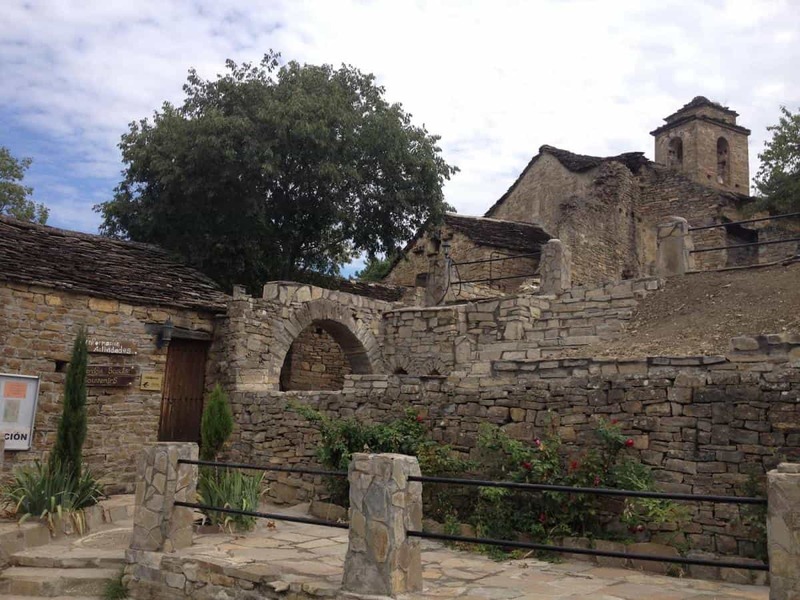 Just past it is the path up to the famous Castle and Chapels of San Emeterio which sit, dramatically perched on the highest peak above the village with amazing views north and south over both reservoirs, down into the Entremon and up to the Pyrenees. Ligüerre de Cinca was abandoned after the building of the Mediano dam and reservoir. In 1985, the UGT trade union started work on its conversion into the holiday centre it is today. 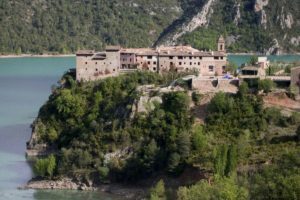 The village is divided into two areas: Mesón de Ligüerre along the A-138 main road and the village of Ligüerre, on the banks of the El Grado reservoir at the mouth of the Entremon which connects it with the Mediano reservoir. 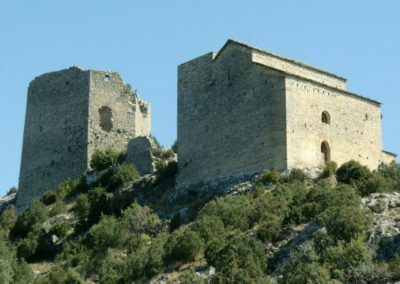 Ligüerre’s most striking feature is its defensive tower which rises majestically over the waters of the reservoir around it. All these villages and their lands were affected to a larger or lesser extent by the construction of the Mediano reservoir and the consequent policy of expropriation. . The following is “Mediano, la memoria ahogada” (“Mediano, drowned memories”) the acclaimed documentary produced by Aragón Televisión .